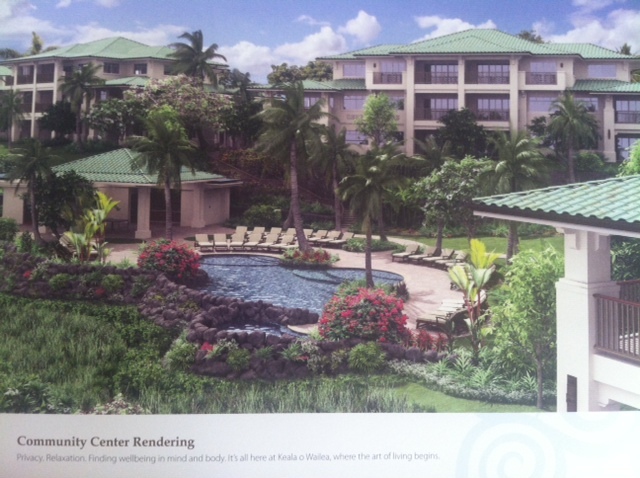 I would like to introduce you all to this brand new complex "Keala O Wailea". This complex will be completed in 2017. All unit has ocean view! *These photos are from brochure. I am sorry about quality. 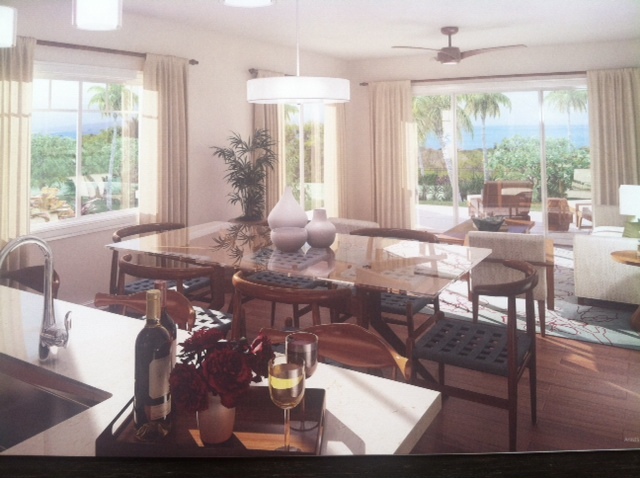 The floor plan on left is 3 bed/2 bath corner units A and C. One in the middle is floor plan D and B 2 bed/2 bath 1241sqft $779,000~. 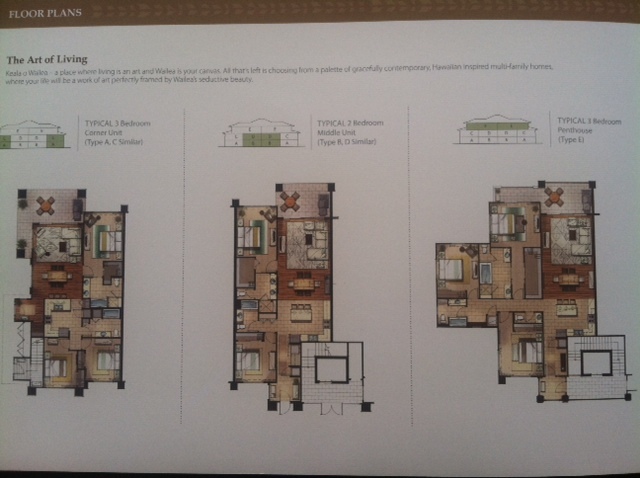 The one on right is third floor penthouse 3 bed/2.5 bath plan. 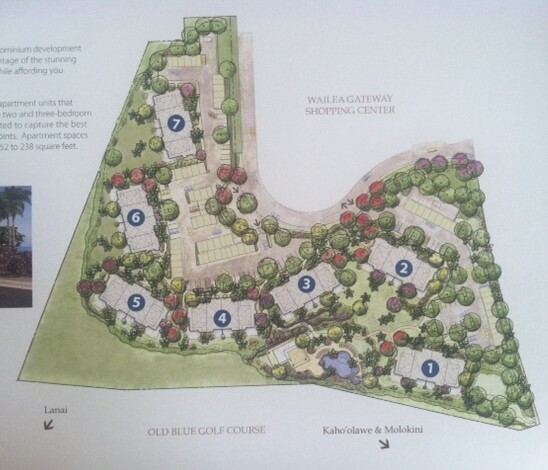 This complex will be located in between Wailea Gateway, which include Monkeypod kitchen, a chocolate shop called Sweet Paradise, and Old Blue Golf Club. Many restaurants, golf courses, white sand beaches, shops, and salons are all close by. This condominium will not allow vacation rentals, so you would not have to deal with many tourists checking in and checking out, nor meet many tourists with suits cases in the elevator. There are only 7 buildings and 70 units in this condo! Right now, about 3/5 are reserved. You can still choose, and up grade your dream unit.